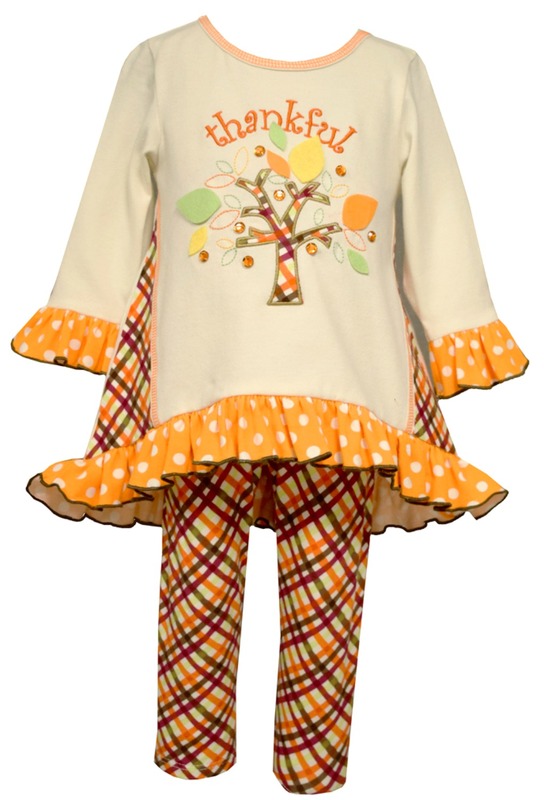 Precious little girls or toddler girls Bonnie Jean beige knit tunic and legging set features Thanksgiving themed Thankful and tree applique with ruffle hem and bias plaid print matching leggings. Cotton spandex blend. Machine wash. Imported.